The hunger games – Suzanne Collins..Its been a long time since a series of books excited me so much. The I heart series – Lindsey Kelk is amazing. I love all her books but particularly the ones based on Angela Clark. My guilty pleasure – Sophie Kinsellas shopaholic series. What are your favourite books? Share please. 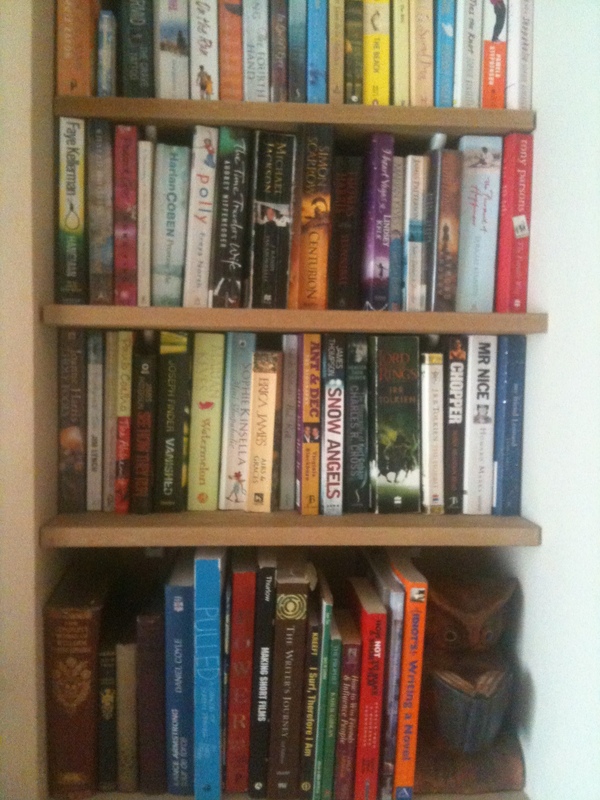 One of my bookshelves below..random assortment of books!